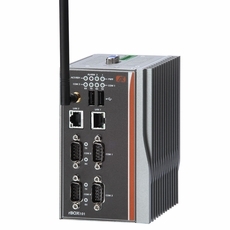 rBOX101-4COM din-rail fanless embedded field controller supports extra low power Intel Atom processors Z510PT and Z520PT with extended temperature range of -40°C to 70°Cfor use in extreme operating environments. To prevent ESD and over-voltage, this super compact-size rBOX101-4COM is equipped with four isolated RS-232/422/485, one isolated 10/100/1000Mbps Ethernet & one isolated 10/100Mbps Ethernet for offering magnetic isolation protection. Two power paths input minimize the risk of data loss in the event of a single power failure. 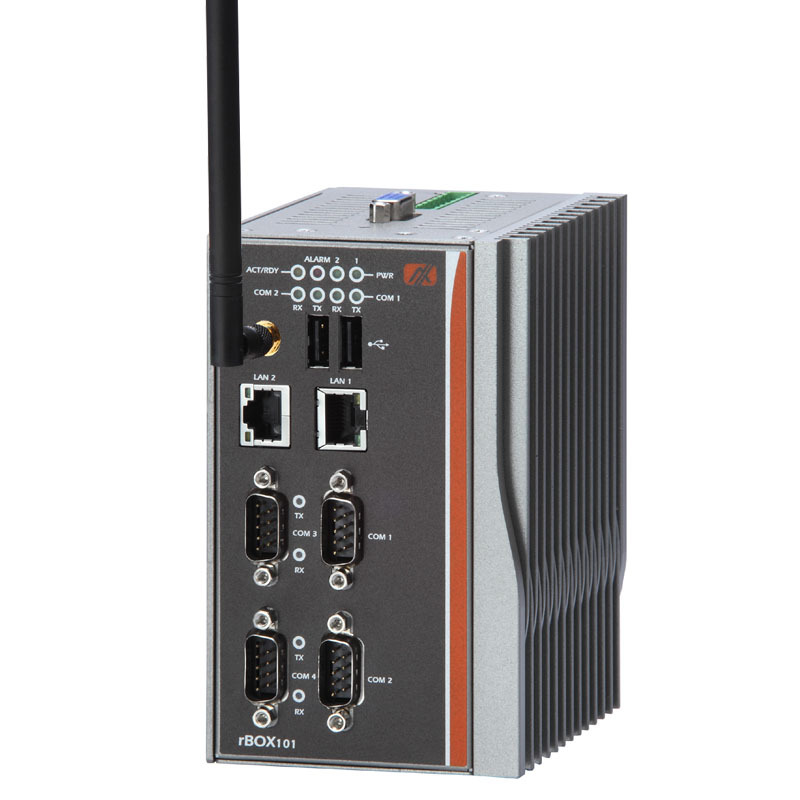 Featuring IP30 housing, wide operating temperature range and Safety/EMI/EMS compliance, rBOX101-4COM is ideal for intelligent computing and communication solutions in critical environments such as power utility, transportation and more. The ready-to-run rBOX101-4COM equipped with AXView monitoring software is a total solution for power plant automation, facility monitoring systems, intelligent transportation systems, and more.